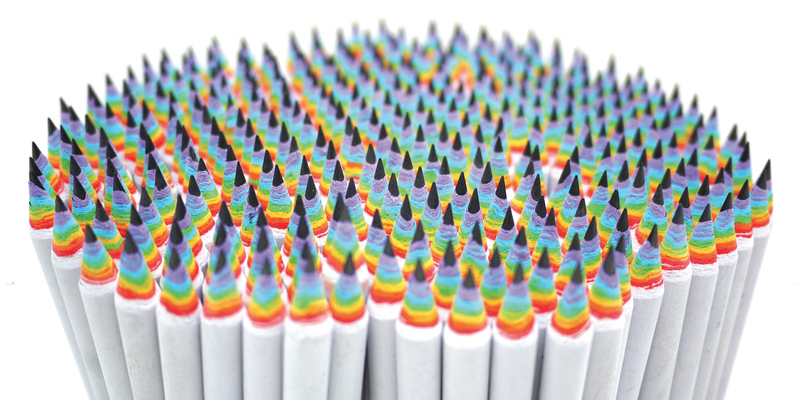 My Rainbow Pencils kickstarter project has been successfully funded. It raised just shy of £50k, more than four times the target, thanks to an amazing 2,864 individuals that backed them. Although I must give a special thanks go to colossal and the kickstarter team, who set the project off to a flying start, I really mean it when I say a huge thanks to everyone who pledged and shared the project, it wouldn’t have happened without you. Rainbow pencils will be available to buy online soon. Click here for more information.